For the best in quality service work, the only name that you need to know is Sweet Shutters and Shades. We take great pride in the work that we do and that is evident from the results that we are able to get for each of our clients, every single time. We look forward to working with you and ensuring that you better understand the options that you have, in order to make the choice that will work best for you. The right window treatments are about more than just making your windows look pretty. This is the finishing touch on transforming your current house into the home of your dreams. Let us provide you with the service that you need and the quality results that you deserve. We want to be your go to shutter company for Mt. Holly window treatments. Of course, shutters are known for their classic beauty. This is a look that can pair well with just about any style of home you have, both inside and out. If you are looking for a choice to make that can also help you to make your home more energy efficient, shutters are the ideal choice. Quality shutters that have been expertly installed are ideal for increasing the overall property value of your home. So you can think of this as a wise investment and not a frivolous expense. For the finest in quality window blinds, the name to trust in is also Sweet Shutters and Shades. It is important to us to be able to offer variety so you do not feel stuck with limited choices. There is a big difference between a window blinds salesperson trying to unload leftover warehouse stock and a true window treatment specialist. We only offer the best in the latter approach to services. If you are looking for an experienced Mt. 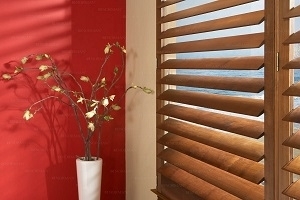 Holly shutters or window blinds professional then please call 704-980-4303 or complete our online request form.